Thyroid health and Adrenal function go and in hand. The way you handle stress has a direct effect on both these two glands. In order to have a healthy thyroid we usually need to also treat the adrenal glands – where the problem started. Chronic stress – the norm’ it seems in the 21 century – results in increased adrenaline and cortisol (stress hormones) being produced by your adrenal glands. Elevated cortisol has a negative impact on thyroid function, and so much more in fact. When stress becomes long lasting, the flood of stress chemicals produced by your adrenal glands interfere with your thyroid hormones, contributing to many health issues like obesity, high or low blood pressure, high cholesterol, dry skin, extreme fatigue, insomnia, and crazy blood sugar levels. Adrenal exhaustion can result if stress is prolonged – a condition also known as ‘Adrenal Fatigue’. This condition is oftenfound holding hands with thyroid disease. It’s very important we learn to manage our stress by learning a mediation technique, do a gentle and kind exercise and practice Mindfulness. Getting Tested and Re-Tested, if necessary. And even if all your lab’ tests still come ‘normal’, you’re still likely have sub-clinical hypothyroidism – if you have multiple symptoms. The levels that are considered ‘normal’ have changed recently, so having a TSH of say 4 or 5 is now considered HyPO thyroid. Your practitioner may say this level is fine. If you’re GP won’t order these tests, even after you insist, then perhaps it’s time to find a good ‘Integrative’ or ‘Functional’ GP and/or a Naturopath. 1. TSH: The ideal level for TSH is between 1 and 1.5 milli-international units per litre. The higher your level of TSH, the higher the likelihood that you have hypothyroidism. 2, 3. Free T4 And Free T3 – The normal level of free T4 is between 0.9 and 1.8 nanograms per deciliter. 4. T3 should be between 240 and 450 picograms per deciliter. 5. Thyroid Antibody Testing – includes antibodies and anti-thyroglobulin antibodies. 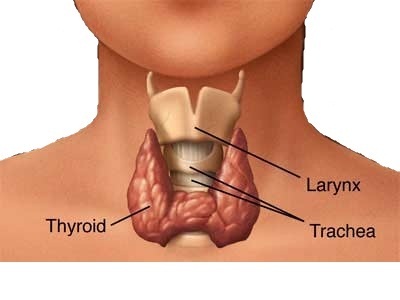 This measure helps determine if your body is attacking your thyroid, overreacting to its own tissues – i.e. autoimmune reactions. This is almost never automatically tested. It’s really important not to exert yourself too much when your adrenal glands (your petrol tank) is already empty. Doing wheelies everyday, whilst accelerating will only lead to complete burnout/adrenal collapse/chronic fatigue. Gente exercise is recommended now, and sometimes in the beginning not even that. Things like the Chinese martial art Qi Gong is perfect, as is Tai Qi. Gently and mindful walking is an elixir in itself and when it comes to yoga – go for Yin, Hatha or restorative yoga not Bikram, Asthanga or even Iyengar at this point. Pilates will also be very helpful, as will be swimming. Absolutely no Cross Fit or Spin classes, and forget about your running for now, and Boot Camp – NO! This is a time to ‘restore’ not ‘drain’. We need to put energy IN not give it away. I personally found not running the hardest thing to ‘do’. Not because I loved running so much (and I still do) but because it helped me keep my weight down and my body fit and toned. But, it contributed to my own AF, plus – if I was truly honest with myself, even the thought of going for a run exhausted me. Sound familiar? Re-learning what our bodies truly need at different times of our lives (and seasons) is a huge challenge. It’s a fight between the heart and the head – the soul and the ego. Listening, really listening to our bodies is an art and one that will always pay off. The decrease in intense exercise won’t be forever, just until you’re petrol tank is filled again. Surrender to ‘Less Is More’.